As sports fans and media, too often we are guilty of forgetting that athletes are real people and not trading cards come to life, motivated by nothing more than money and championships. Pay attention to the media coverage and social media reaction to this summer’s NBA free-agency period and international soccer transfer period. Most people will put themselves in the shoes of LeBron James and Carmelo Anthony, or Paul Pogba and Mario Balotelli, and will only consider the money on the table and roster of the teams vying for their services. Few will consider that perhaps an athlete simply prefers living in one city over another; or that he’s looking into the best school systems for his kids; or that his wife wants to be closer to her family; or that he meets with a team and just doesn’t vibe with the coaches or front office; or that he’s really good friends with a player on a particular team. Think about your own process when considering a new job or a new school or a new place to live. Don’t you consider a variety of factors that go beyond money and potential success? Next time you find yourself questioning why an athlete chooses one team or one school over another, remember to give them that same freedom you have to be human. While it’s true that money and championships are the top two motivators for many athletes, that’s not the case for all athletes all of the time. Bacary Sagna is one of those outliers. The 31-year-old French Muslim defender recently agreed to a deal with Manchester City of the English Premier League after spending seven years with Arsenal in the same league. And while any contract offered to one of the world’s best soccer players is sure to be lucrative, Sagna insists money was not his motivation. And even though Man City is the reigning EPL champion, Sagna — who helped Arsenal win the FA Cup this past season — also indicated he isn’t just jumping ship to the most loaded team because it’s an easier path to a title. “I needed to start from the bottom again,” Sagna said. What I gather from his words is that Sagna, more than anything, wants to challenge himself. He wants to go to a good team because he wants to compete for a starting position against other good players. He wants the challenge of learning a new system, new teammates and a new coaching staff. He wants to take himself out of the comfort zone that was Arsenal and try to succeed in an unfamiliar setting with Manchester City. He wants a test. The Quran is full of references to mankind being tested and challenged and having to prove themselves. We only improve — as people, as athletes, as Muslims — by embracing these tests and challenges. To reach the top of his profession and keep himself sharp, Bacary Sagna has decided to test himself. 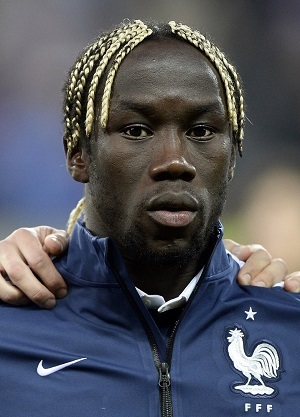 Meanwhile, Sagna is currently helping the French national team at the World Cup. France has advanced to the round of 16 after finishing the first round atop Group E, followed by Switzerland. Ecuador and Honduras did not make it out of the group.